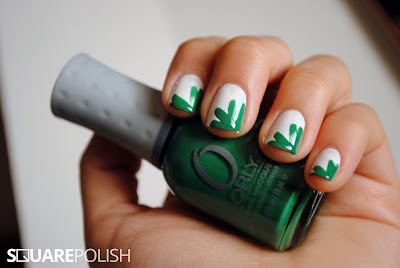 Simple Clover Nail Art Tutorial! I made thinner swipes than in the heart tutorial, so that there would be more room for all the leaves. Try to leave more space between your two clusters, otherwise it just looks kind of like an asterisk. All I did was wipe the excess polish off one side of my brush, touch the brush along the straight edge of my nail (wait a moment so the edge rounds out slightly), and swipe straight out. Starting a bit lower and to the side, you repeat the process; this time, curve your swipe so that the end overlaps with the end of the first swipe. Don't worry if your lines were too rigid and it just looks like a "V."
I'm sure you've seen it, but remember to check Jane at Nailside's Freehand Cloud tutorial for more tips, because the concept is essentially the same. I love things like this, with a low ratio of time:results. I hope this helps somebody out! Very cool! I need to get my booty in gear and work on this one! 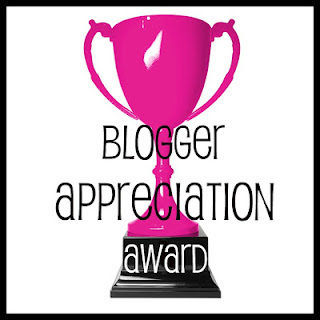 Just letting you know i nominated you for another award and that i love your blog! Hi, Cindy. 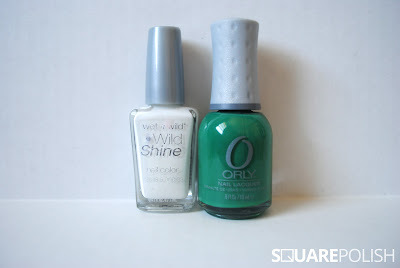 Love this white and green look -- very refreshing for St. Patrick's Day nail art! 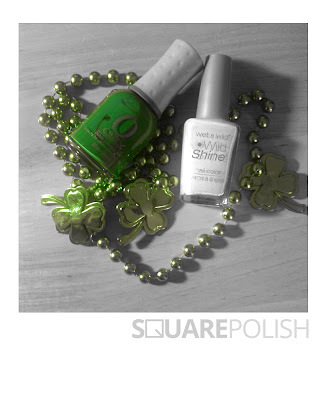 You might want to submit this to a contest we're holding, for St. Patrick's Day nail art. We hope you'll join! You could win a Dazzle Dry Nail Polish System kit and a bottle of your favorite nail lacquer, in a shade of green, from our collection. 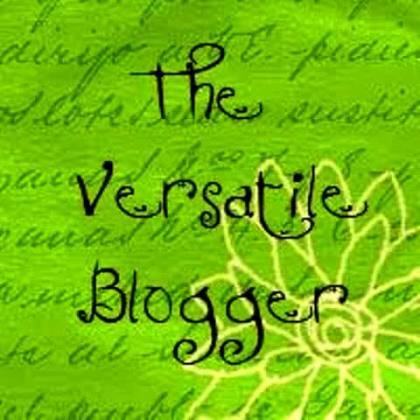 Visit us here! http://www.facebook.com/dazzledry? I like how simple this is! Very nice tutorial also.